Instead of a book summary, have a book trailer! Review: Though science-fiction/dystopian isn’t really my cup of tea, I’ve been trying to read more of it lately — and enjoying it. 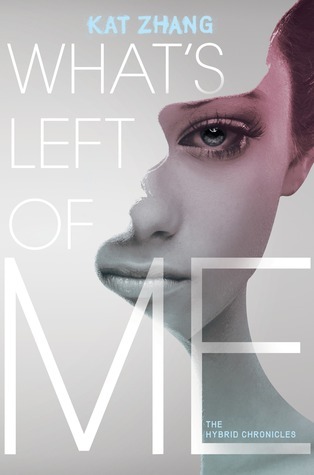 What’s Left of Me is a fast-paced story with a sort of Golden Compass feel to it, what with the double souls and the dark hospital experiments. The world-building in the book is tight and fascinating. The book’s treatment of foreigners in the non-hybrid Americas was interesting, and reminded me of the controversy around immigration reform that’s happening today. It’s easy to fall into the world of Addie and Eva, though I wish some more of the national history had been elaborated on. I got the feeling that the history that was hinted on in the book was only the tip of the iceberg. Overall, it was an entertaining read and definitely worth the time. Recommendation: Get it soon, especially if you’re a big fan of The Golden Compass.